In an Opening Ceremony held last November 9, 2017, NCF Manila welcomed its 10th batch of students for the Preparatory Japanese Language Training for Nurses and Care Workers under the Japan-Philippines Economic Partnership Agreement (JPEPA). NCF will train 110 students who, after finishing their intensive 6-month course in Manila, will move to Japan for another six months of further language studies before finally starting their work at different Japanese hospitals and care-giving facilities. Both Orillo-sensei and Mr. Hiroaki Uesugi, Director of The Japan Foundation Manila Office (JFMO), which oversees the program, also emphasized in their messages to the students the importance of developing the habit of self-training. 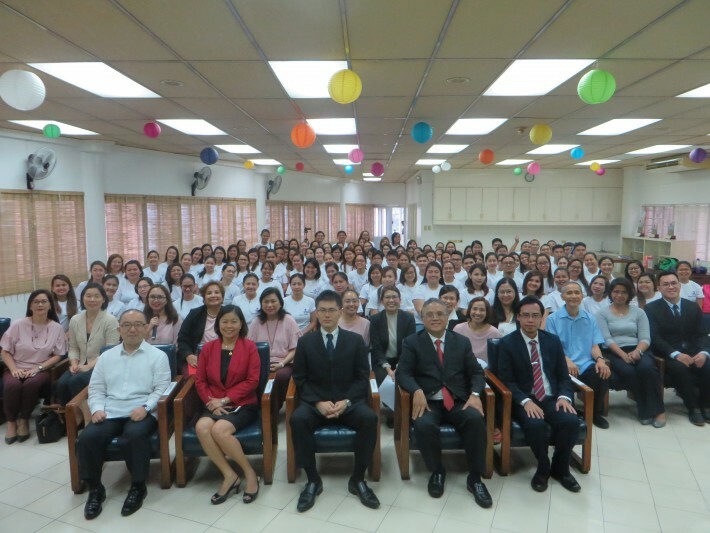 “After finishing the training here in the Philippines, and in Japan, you will start training and working at Japanese hospitals and care-giving facilities. Therefore, it is very important that you establish this basic Learning Cycle – preparing, attending class, reviewing and self-study during the training period,” said Mr. Uesugi. Other honorable guests during the afternoon event included NCF President, Mr. Philip B. Sanvictores, Atty. Rosemarie G. Duquez who represented the Philippine Overseas Employment Administration (POEA), and Mr. Manabu Yasukawa, First Secretary, Labour Attaché of the Embassy of Japan. President Sanvictores, in his message, reminded the students about how being among the few chosen Filipinos in the EPA program is truly a great opportunity that also comes with great responsibility. For 2018, the JPEPA Program for Nurses and Care Workers has more than 300 candidates. Aside from NCF Manila, two other institutions—TESDA and the Personal Ability Development Foundation, Inc. (PAD)—are conducting the preparatory language training including lectures about Japanese society, customs and manners, geography, and other topics related to general life in Japan. For the full speeches of the guests and photos of the Opening Ceremony Program, see resources below.